It’s been a few weeks since the media wildly speculated who’d be the next actor to slip on James bond’s iconic tuxedo so you’ll no doubt be thrilled to know that the studio behind the popular spy films have finally drawn up a shortlist of actors to take on the role. Unsurprisingly the Luthor star Idris Elba has made the cut along with other big names Michael Fassbender, Luke Evans, Charlie Hunnam, Aidan Turner along with Tumblr fan favourite and Taylor Swift’s paramore, Tom Hiddleston. A studio insider explained to The Sun that ‘to get anyone to take over from Daniel will be a tough job’ but that the studio had confidence in Elba because of his gravitas, talent and box office appeal. There will be a lot of trepidation about a new Bond, but Idris’ talent and proven appeal gives executives a lot of heart. Idris may be a little older than the other candidates but he looks like he is still in his 30s. MGM are confident that they are in a pretty strong place with a raft of talent available. Meanwhile the person who will ultimately make the decision, EON Productions franchise boss Barbara Broccoli, has been spotted meeting with two actors who aren’t on the list. James Norton who played the psychotic Tommy Lee Royce on the BBC’s surprisingly gritty Yorkshire based thriller, Happy Valley and Billy Elliot actor Jamie Bell. While the MGM executives have an idea, Barbara makes the ultimate decision on the role. Once Barbara decides who she wants to direct, then the audition process will be vital. Daniel Craig, who’s still hasn’t officially quit as Bond, most likely won’t return for a fifth Bond film after his experiences filming Spectre left him feeling a little tense. 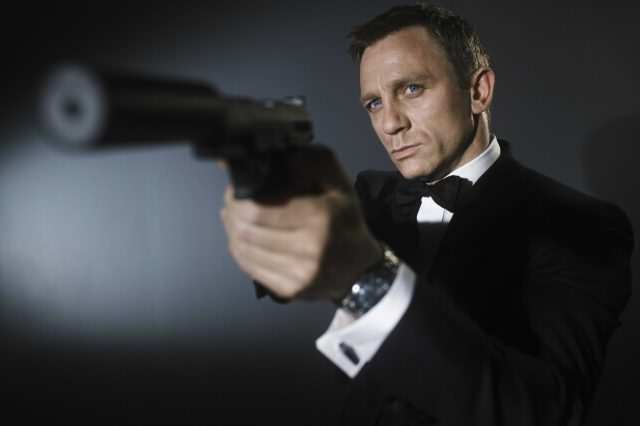 Craig rather dramatically said he’d rather slash his wrists than play James Bond again which while I’m sure is an exaggeration isn’t the best things you can say about a job.